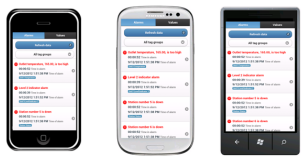 The TopView Mobile Web App runs in any modern browser and does not require an app installation. Since the web application is hosted within the TopView engine, on your systems, there is no complicated IIS installation required nor is there any data sent outside of your own servers. Android, Apple iOS (iPhone, iPad), any Desktop OS, or any other device that can run a modern web browser. Note: the TopView Mobile Web App interface is optimized for mobile device web browsers, but it can also be viewed in desktop browsers. 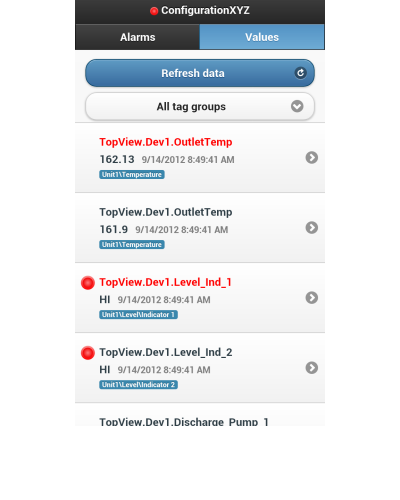 The TopView Mobile Web App is available for all TopView versions (full, evaluation, and FREE) including TopView OPC/SCADA, TopView PI, TopView SQL (OLEDB/ODBC) and TopView PerfMon. 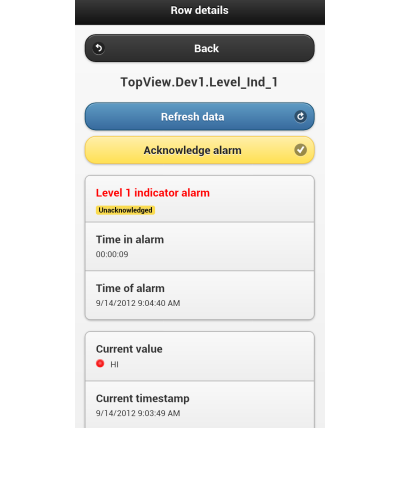 Each TopView Engine instance (configuration) can enable the TopView web server – the host of the Mobile Web App. The web server is embedded within the TopView Engine. We are not using an external web server (e.g. IIS), so there are no additional requirements or installation steps. The web server can be enabled or disabled per TopView Engine instance using the TopView Configurator. The user can also select the port for use by the embedded web server, and can optionally enable user security (login). 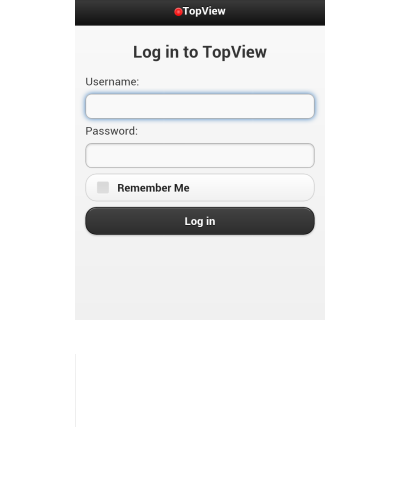 Once the web server is enabled and the TopView Engine is running, users with network access to the TopView computer (including mobile devices browsers) can access the Mobile Web App through the URL http://topviewcomputer:port where topviewcomputer is the computer name or IP address of the TopView computer and port is the user-selected port. The TopView Mobile Web App was designed with Apple iOS and Google Android versions in mind, and we recommend viewing the mobile app from your mobile phone. Modern desktop browsers also work well for viewing the mobile app. Cookies must be enabled to use security functionality. IE 6 is not supported natively as a browser for the TopView mobile app. We suggest that you try the demo link from a mobile browser. Your screen should look like the samples above. 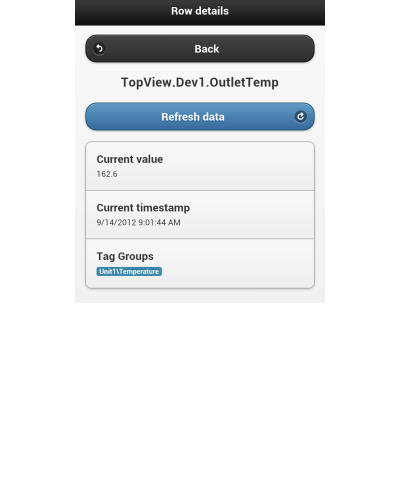 We will be periodically updating this site as we continue to develop TopView Mobile Web App. If the site becomes unavailable at some point, check back in a few minutes. If you cannot access the site after multiple attempts, please contact support@exele.com. The first view will be Alarms. 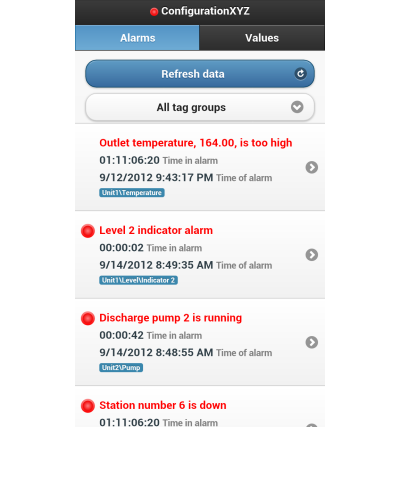 You can switch between Alarms and Values by clicking the [Alarms] or [Values] button at the top and bottom of the screen.